Alma Bruneck aka ‘nana’, my grandmother taught me how to knit. She arrived in the USA from Riga, Latvia 🇦🇹 in 1916 🌿 She also taught my mother about gardening who in time taught me as well. ❤️ I have so many projects on the needles at the moment, that I can hardly knit fast enough to push out all the ideas that come to mind….’never enough time. 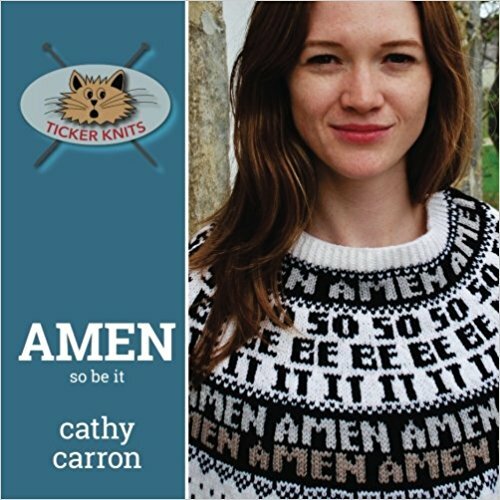 I am still working on the 5th Tickerknits booklet, SMITTEN, which which will probably be the final one. Going forward, designs will be published as single downloads instead of as 'collections’. At least, that’s my intent at the moment…. 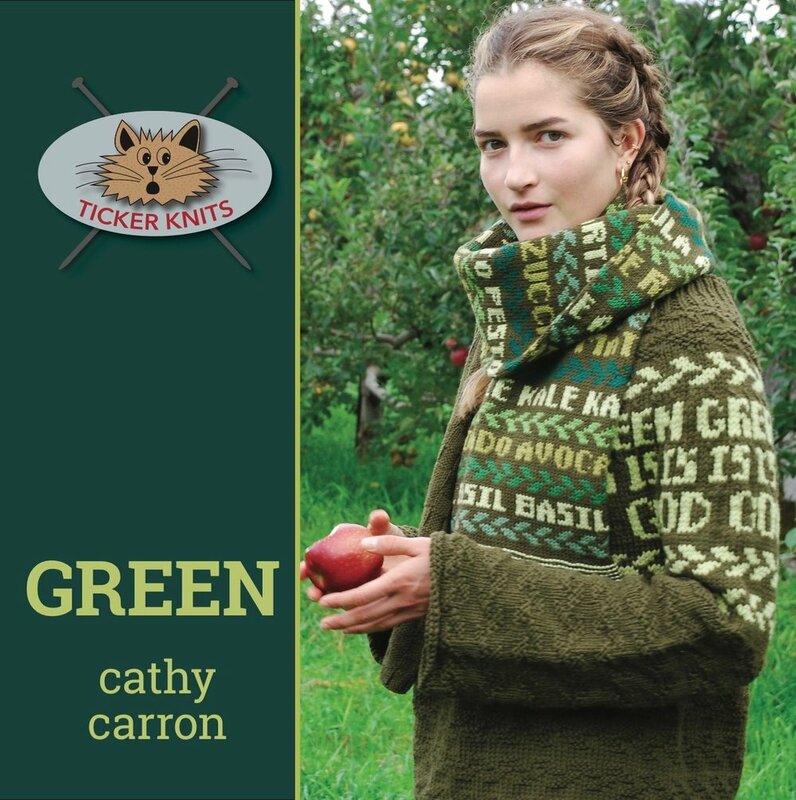 My deep dive into knitting word images these past two years has been quite the learning experience. To that end, I find myself designing increasingly less commercial pieces…and producing more one-ofs that are conceptual in nature. I know, it all sounds rather cryptic, but towards the end of this year, I hope to reveal this body of work somehow, somewhere, etc…stay tuned. ‘lovin’ the chilly Spring air. I learned to knit from my Latvian 🇦🇹 grandmother who emigrated from Riga to the USA in 1916 ( photo on left). My work can be found in numerous knitting magazines, as well as in seven books including best sellers, Hip Knit Hats (2005), Hattitudes (2009), Short Story (2012), Happy Feet (2014), and Cowlgirls 1 & 2 (2010, 2016). At the moment, I am using stranded knitting to render letters, words and language as design elements under the logo ‘TICKER KNITS’. However, when time permits, I continue to work on private commissions and for other publications as well.